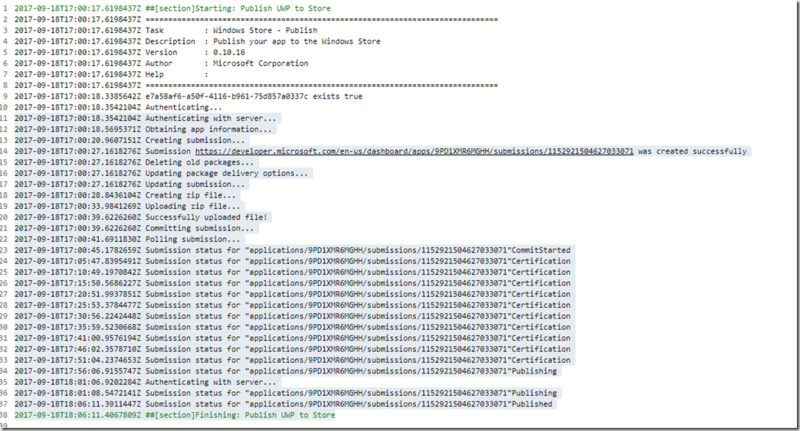 If you are having issues with Microsoft’s documentation to accomplish this task, here is a summary of how I got it to work. 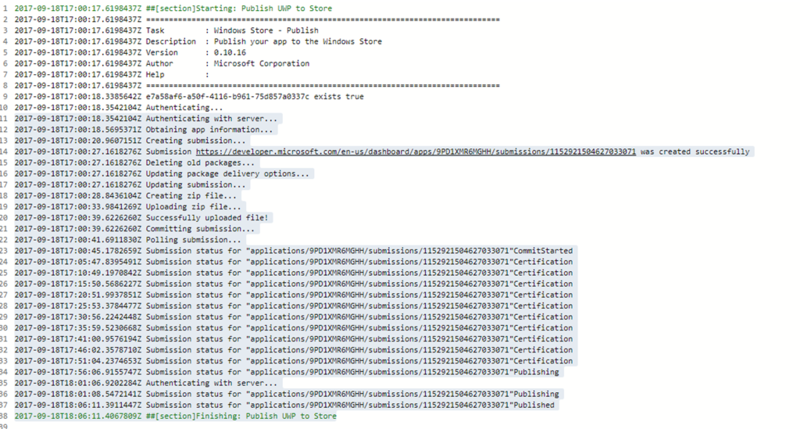 (I should note that you must have an app in the store manually first for this to work). 1. Go to your Dev Center Dashboard (https://developer.microsoft.com/en-us/dashboard/apps/overview). 4. 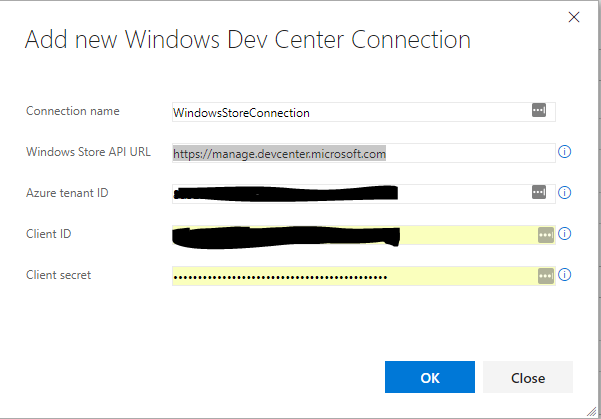 Give it a name, like “Windows Store Connection”, the reply URL and App ID URL can be anything at this stage. IMPORTANT for it to be part of the Developer Role so that this can publish to the Store. 5. 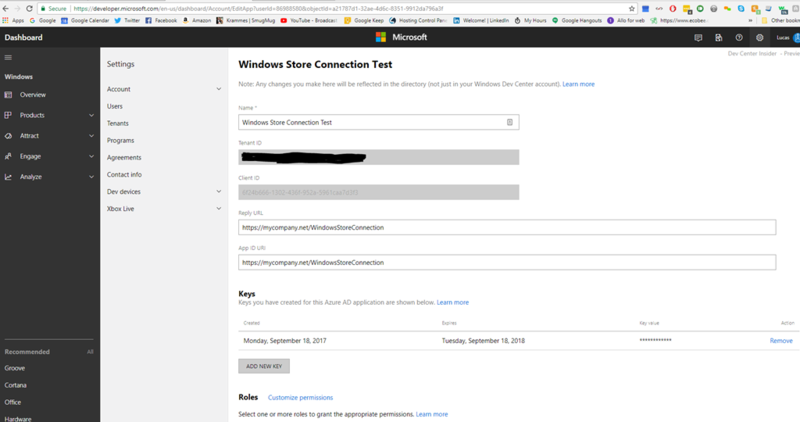 Click Save, and you will be taken to a confirmation page. Click Manage Users to see your newly created application in the grid with a guid. Click that one to edit it. Now we move on to the build step. 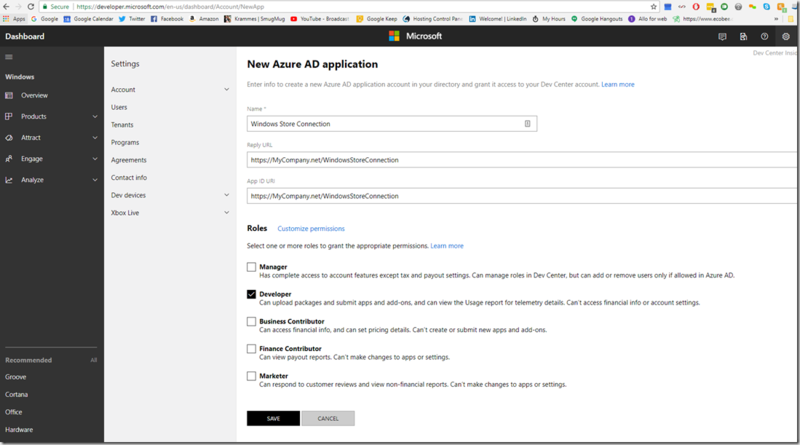 The MS docs led me to believe that I could create my Azure AD Application from the portal via the App Registrations. When I did that, I got the dreaded “503 Service Unavailable” error on my build publish step. 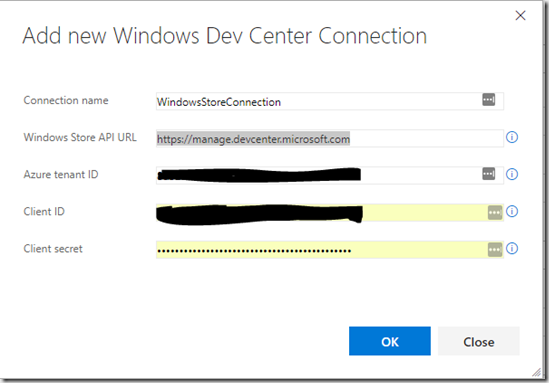 The trick was to create the Azure AD Application from the Windows Dev Center, give it Developer permissions, and tie that application back to my Windows Dev Center connection endpoint. Simple and clear. I was able to publish my UWP using TFS to windows store. Thanks, and thanks for your help on this Ram.